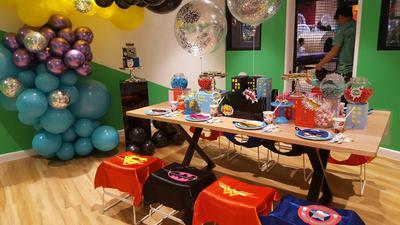 Melbourne's newest playcentre and one of the biggest in the Southern Hemisphere is now open. 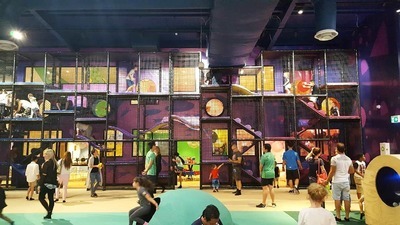 Take a trip down the Rabbit Hole Playcentre in Braybrook and you'll be sure of a big and colourful surprise. 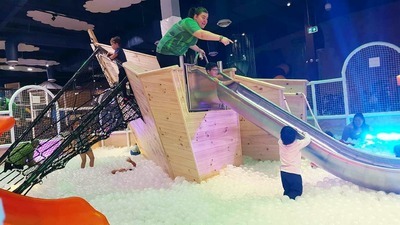 The play space centres around a big wooden play pirate ship with slides heading down into a giant ball pit. 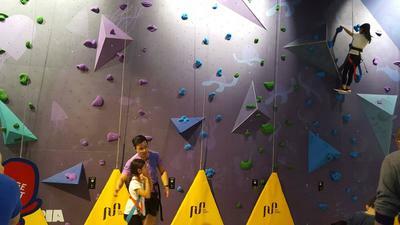 Other than the centre ball pit, there are rock climbing walls, plenty of slides, tunnels, play pods and more. 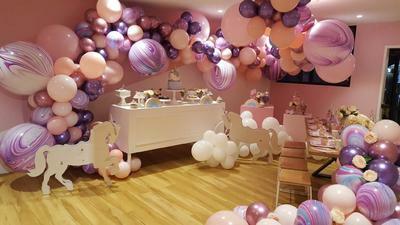 The centre is beautiful to look at, designed by Imagination Play and Principle Design. 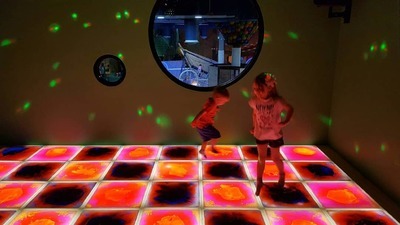 Staff at the Rabbit Hole are interactive with the children and attentive, plus the centre's cafe has plenty of options for all. 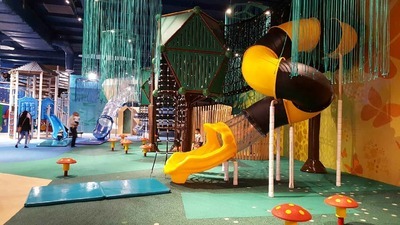 Note that the Rabbit Hole Playcentre has a 'no shoes/socks' so don't forget to pack socks for you and your little ones on warmer days. 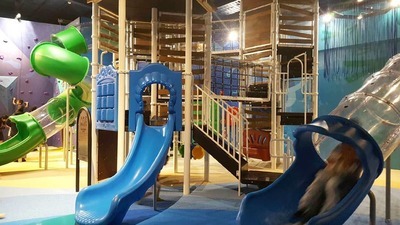 Due to the variety of play options available at the Rabbit Hole, this playcentre is suited to all ages from babies up to around 12 years. 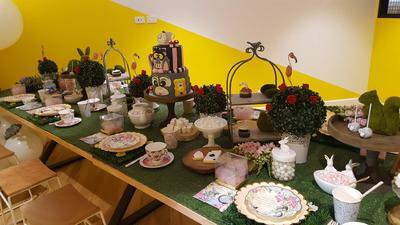 See what all the fuss is about and take a trip down the Rabbit Hole in Braybrook asap! When: From 9:30am Monday to Sunday. Public holidays from 10am.